AUCTION PROPERTY Events dates from 1/7/2019 to 1/9/2019. PLEASE DO NOT DISTURB THE OCCUPANTS OR STEP ON THE PROPERTY!!! 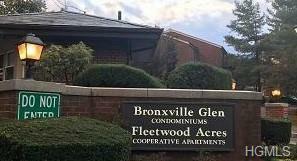 2 BR 2BTH Condo in the desirable Bronxville Glen South. Gated Community with tons of amenities Gym, Indoor & Outdoor Pool, Sauna, Central AC, Parking. Great location within walking distance to Metro North only 25 minutes to NYC, Cross County Shopping center, local buses and just minutes to the Hutchinson Parkway and Bronx River Parkway, restaurants.